You might remember when the fifth edition Dungeons and Dragons Open Gaming License was announced I put out a call for cartographers. It is time to buckle down and finish the Exploration Age Campaign Guide. For those who need a quick refresher, Exploration Age is my campaign setting that takes place in the world of Canus. 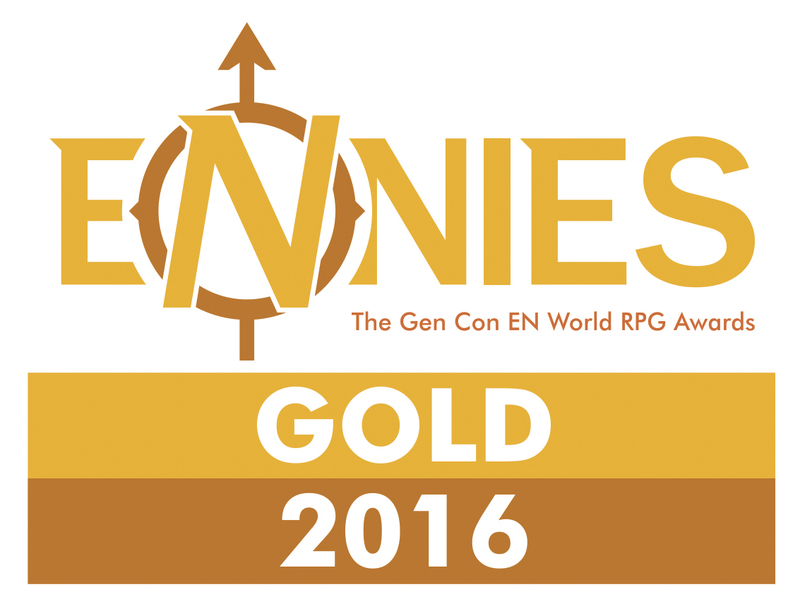 Canus is rife with political intrigue, magical technology, ancient ruins, and unexplored territory. 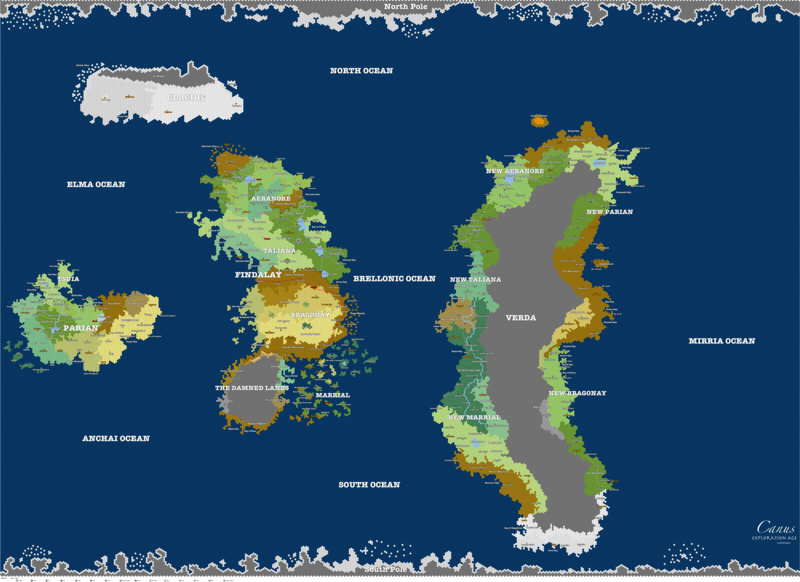 Until the last decade the wild continent of Verda was hidden from the rest of the world. Its recent discovery has sent other nations into a land-grabbing frenzy. Adventurers are needed all over the world to scout unexplored wilds, dive into ruins for items that may help spur the creation of new technologies, and navigate the political upheaval of a complicated world. It is an enormous world, a bit larger than our own. Here are a few of the design principles I came up with while creating the world based on the preferences of my own players. Most characters in the world are complicated beings who are not wholly good or wholly evil. The world is full of plot threads the GM can pull at anytime. A full campaign could take players all over the map or keep them confined to a single city. The map of the world is full of blank spots so that GMs can fill in the world with new ideas and expand on existing ones within Exploration Age. I’ve outlined numerous countries, peoples, organizations, technologies, and more on this blog. Now I’m getting ready to publish the whole dang world. Clearly for a place like this the map was super important. I’m lucky enough to have two awesome cartographers working with me. Danny Rupp is creating the huge world map and Ryan Hennesy is making all of the individual country maps. They are awesome dudes and their work is so fresh it’s minty. Check them out! Basically I asked them to take the map I made using Hexographer and turn it into something more awesome. I never worked with a cartographer before so I did not know where to start. Luckily they both did and asked me what style of map I wanted. Style of map? I had never thought about that before. I wanted something professional and inspiring… so I got to Googling. I did indeed find there are many different styles of map. 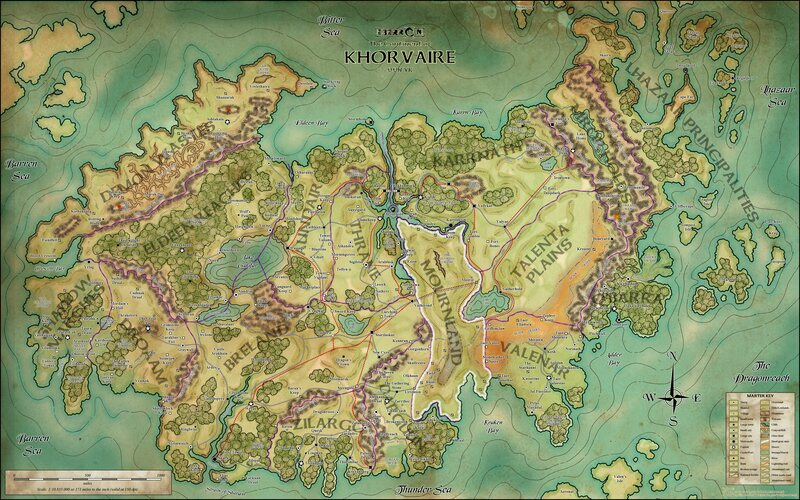 Just look at all the differences between these maps of Khorvaire from the Eberron campaign setting. They are all the same place. You can see a ton of different styles in the maps above! Each one is useful and beautiful in its own right. So which is best for Exploration Age? Before you settle on a style of map ask yourself the following two questions. How will my map be used? What story will my map tell? For question one the answer is clear. First the map will be used to determine travel distances like most RPG maps. That’s pretty standard. The detail that distinguishes Exploration Age comes in the form of the blank spots on the map. The maps are also meant to be used by GMs as an aid for hex crawls and exploration of these areas. As far as story goes Canus is a world that is booming with the business of discovery. Its residents just realized the world is twice as big as they thought. Maps are drawn with feverish excitement each day by eager explorers. My maps need immerse the players in this fervor. For Exploration Age I’m looking for something that feels hand-drawn with a practical scale and hex grid to keep it easy on GMs as they lead their players through exploratory hex crawls. A combination of the first and fourth examples above seems right. I’ll keep you updated on the maps as they get awesome. Of course what makes this campaign setting worthy of the name Exploration Age are the blank spots on the map. They have a huge impact on the world and the fact that they exist is the catalyst for many of the events in the world and possibly the places where your party might be adventuring. I’ll need to make sure these blank spots are clearly marked on the map without seeming too out of place. That’s a big challenge for Danny and Ryan, but I have no doubt they’ll crush it. I know some of you might be saying, “Why are there blank spots on the map? If I’m paying for a campaign setting, I expect the whole thing!” That’s understandable. I assure you that Exploration Age will come with more than enough world created. You can run an entire campaign all over Canus and never need to explore an unmapped area. The reason I included these blank areas is I always love creating my own area of a game world even when I’m playing in a published setting. Settings inspire me with a great ideas , but I the world doesn’t always have the room to add them without subtracting from what is already there. I’ve found that many other GMs do the same. We want a chance to add our own ideas to the world we play in. That is what D&D is all about. Even fifth edition lead designer Jeremy Crawford‘s personal campaign world began as Barovia. He rolled back the mists and began building up the area around the gothic setting until he had a much larger world. That’s why this map has blank spots. So GMs who are inspired by the world to create more can easily make a piece of it their own. There’s tons of inspiration and hanging story threads within the pages of the campaign guide’s manuscript to help bring players and GMs into the unknown. Over the coming months I’ll be sharing more of the world but I’m also going to share some resources and advice that make hex crawls fun and easy. I hope you enjoy what I’m building! An excellent discussion on world-building, highlighting that the gaps in the map are often are niches for GMs and can provide hooks for adventure. A great concept and looking forward to seeing this come together.